Often, the key differentiating factor between an unsuccessful negotiation and a successful one is the strategy behind it. And that’s what Patrick Tinney (Founder of Centroid Training and Marketing) and I talk about on today’s show. 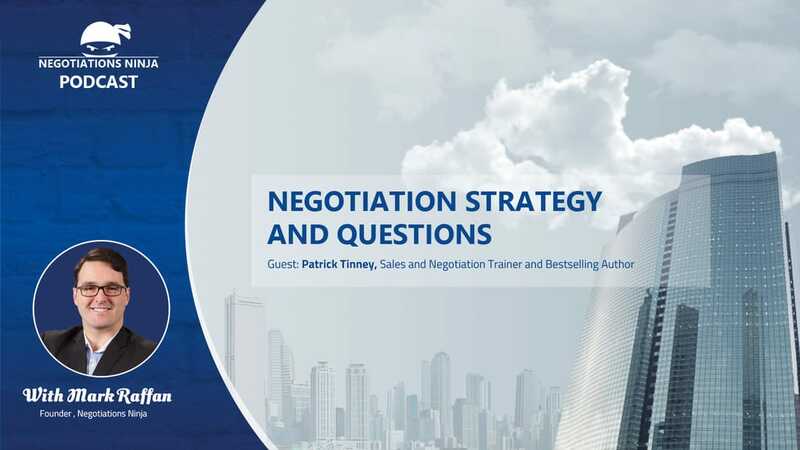 Pat’s firm helps organizations make money through consultative selling, prospecting and negotiation training. He is frequently published online and has written two books “Unlocking Yes” and “Perpetual Hunger”.